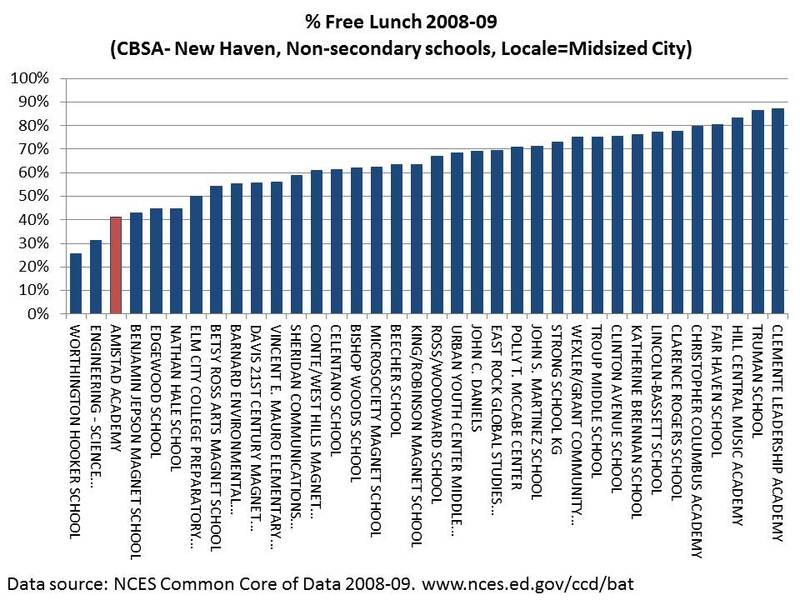 Tuttle SVC: What's the Free Lunch % of Amistad Academy? Of course, I have no problem with economically diverse schools. Or, for that matter, schools in overwhelmingly poor communities that are able to overcome the challenges of segregation. What is truly destructive is schools that present themselves as examples of successful segregated schools -- and thus proof that desegregation is not necessary -- when they are significantly less poor than the schools they compare themselves to. Amistad's rate as shown here would give it fewer children in poverty than any PPSD school in 2009-2010. Oh man, this is just thrilling. Thank you. Any thoughts on the waiver request? I'm a bit concerned that 2016-2017 test data (presumably based on a new Common Core assessment) will be compared to 2010-2011 NECAP test data. Considering there are errors on RIDE's site around how interpret their own growth model, I don't have great faith in their ability to reliably link tests. I've been avoiding thinking about the waiver request. To be honest, as someone most focused on urban high schools, I don't see how changing tests could hurt, considering how difficult the NECAP math is. The PARCC tests will almost have to be easier. I'm a bit concerned by their use of growth models, as opposed to value-added. Growth models don't control for SES (or really anything). This will punish the urban high schools you champion. Frankly you're looking at this in a lot more detail than I am, and you're probably right about growth vs. VAM. I still have trouble believing anything could be worse than having to deal with the difficulty of the NECAP 11th grade math though. Is there another test in the country where it is not surprising that a school with 80% reading proficiency would have 0% in math? Not to push the subject, but my primary concern is not about test difficulty per se. It's comparing data on a test with one set of objectives to another with a potentially different set of objectives. Without vertical alignment between tests, RIDE cannot make any claims about growth rates. For the eleventh grade test, for example, the new test could be substantially easier but won't tell us anything about how students are actually growing. These schoolwide growth rates in the waiver are tied to school closings, teacher layoffs, student outcomes, etc. etc.